Choosing a blanket and roller wash for Energy-Curable or Hybrid inks, that is strong enough to keep your press clean, yet is still able to maximize the life of your rubber rollers and blankets is extremely important. Fortunately, Prisco has the knowledge, expertise and optimal products to help you make the best possible choice. The washes listed below are some of our most popular for the cleaning of rollers and blankets used with Energy-Curable (UV, LED, HUV) and Hybrid inks. 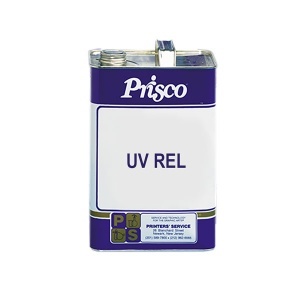 Contact your Prisco Representative for specific recommendations for your plant. Strong, water miscible, moderate drying cleaner for energy-curable inks. strong cleaner for UV and EB curing inks. Water miscible, moderate strength cleaner for UV and EB cured inks. FOGRA certified, water miscible, for energy-curable inks. Strong, moderate drying, water miscible cleaner for all ink types. Moderate strength, slow drying cleaner for all ink types. Reduced VOC version of E-Cure Classic. High strength, water miscible, for energy-curable inks. Strong cleaning, very fast drying wash for all ink types. Strong cleaning, slow drying, wash for all ink types.